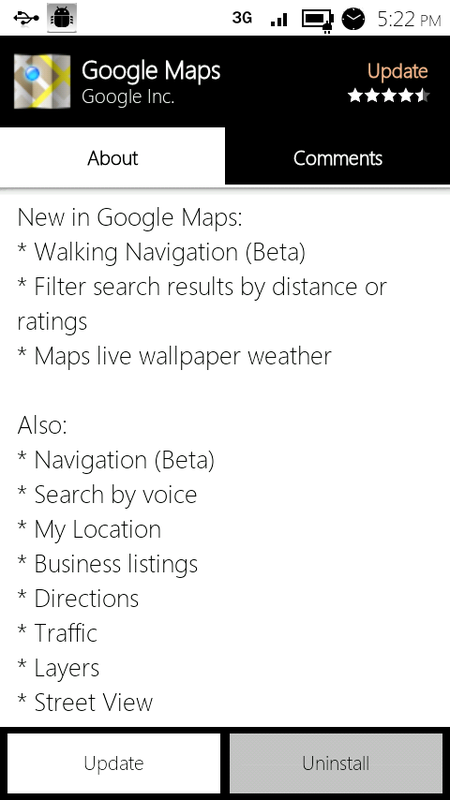 A Google Maps update is available to everyone in the market right now and will bring you up to version 4.5.1. What’s significant about this version? 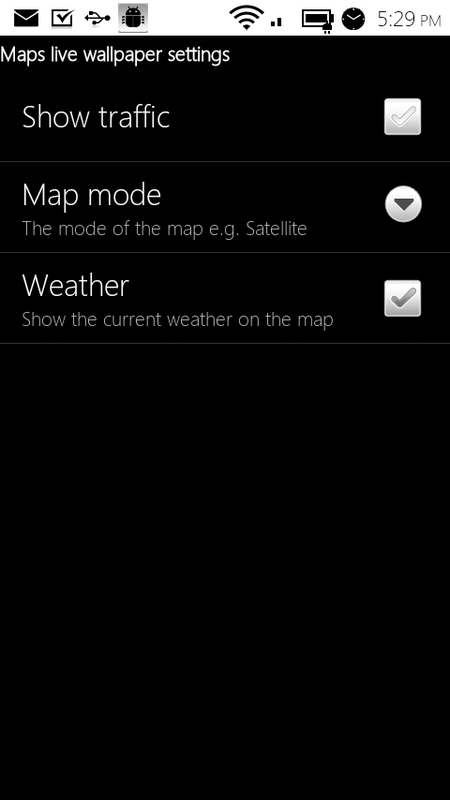 It brings weather into the live Maps wallpaper! 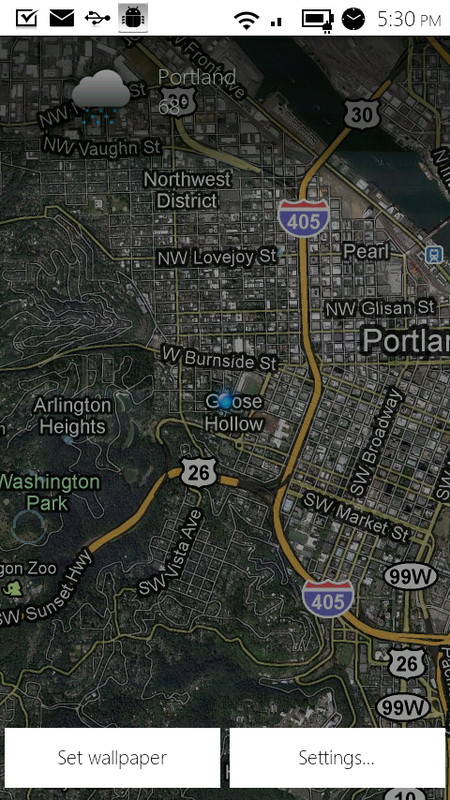 It’s pretty hard to see from that screenshot above, but there are actual rain drops splashing on my screen. 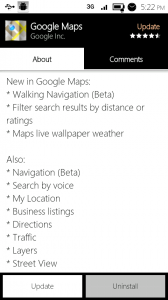 Nice touch there Google. And that’s it as far as I know.